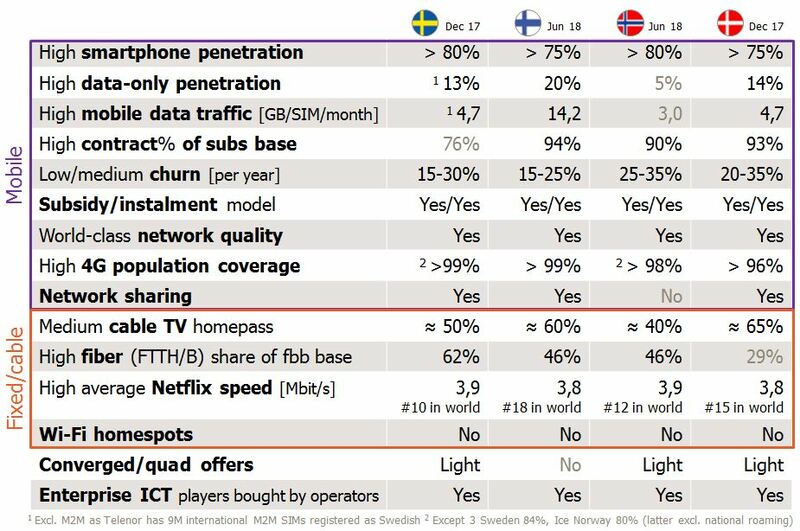 Our benchmarks have also shown that Nordic operators are productive, OPEX efficient, have a good channel mix with much of sales and care online – and generally interested to improve further. When a Nordic operator wants to improve further, there’s little guidance available from outside of the Nordics region. In contrast to other benchmarks, it is 100% fact based without modifications done to actual operator data. Our benchmark reflects reality, not a theoretical model. In total, 16 operators are this year invited to participate. As previous years, the identities of the actual participants is confidential. 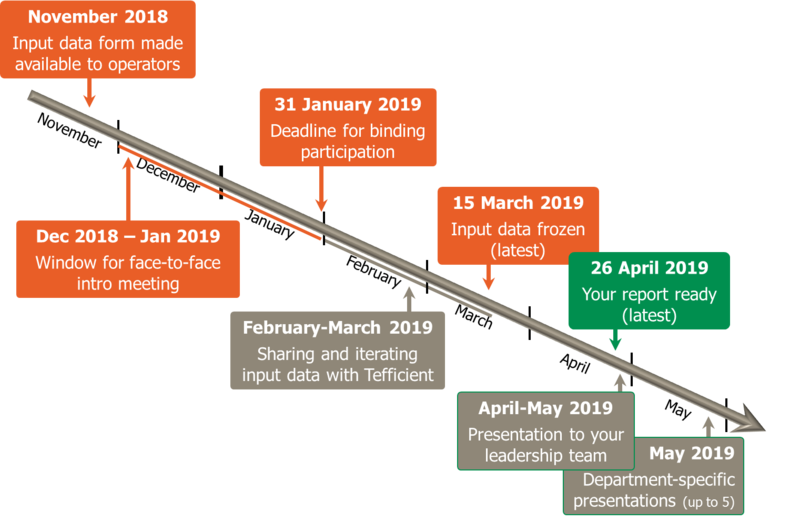 The benchmark results are only available to the participants. The benchmark is an integrated operator benchmark which cleverly allows comparisons between operators with different mix between mobile and fixed in its integrated business. 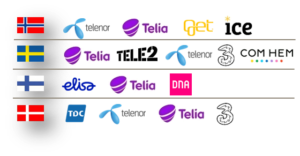 It is also possible to participate as a pure mobile operator or as a pure fixed/cable operator. The total number of KPIs is 890. 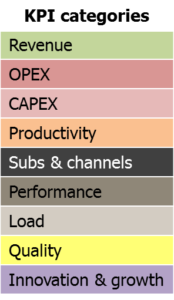 The benchmark covers revenue, OPEX, CAPEX, headcount productivity, subscribers & channels, performance, traffic & load, quality and innovation & growth for 54 functions. If you’re among the 16 operators, please contact Tefficient for an introduction. There are 890 KPIs in the benchmark this year. Here are a few visual examples of some of the 300 report pages.